Letterhead to National Appeal sent to prospective donors, dated October 1927. The letter was signed by Prime Minister Stanley Baldwin; Lord Crawford and Balcarres, President of the Society of Antiquaries; Lord Grey of Fallodon, Vice-President of the National Trust; and Sir Lionel Earle, Permanent Secretary to the Office of Works responsible for the care of the monument given to the nation by Sir Cecil Chubb in 1918. 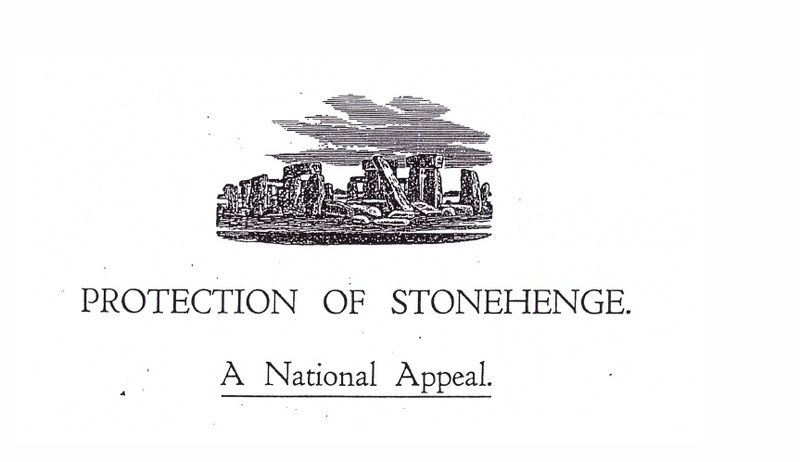 The National Trust’s support for widening the A303 with a short tunnel near Stonehenge – avoiding its own land – is vital to the Government in advancing today’s A303 Preferred Route in spite of the strong concerns of UNESCO’s World Heritage Centre and World Heritage Committee, the International Council on Monuments and Sites (ICOMOS), numerous other bodies, leading archaeologists and individuals. Stonehenge was given to the nation by Sir Cecil Chubb a hundred years ago, on 26 October 1918. The Stones and the triangle of land around them are managed by English Heritage Trust. Since then, the Trust has purchased more land, almost doubling its initial holding at Stonehenge. Land acquisitions made by the National Trust from its beginning up to 2013. KEY: Pink land acquired 1915 to 1934. Blue land acquired 1975 to 1994. Purple land acquired 1995 to 2014. Red dotted line shows disposal for A303 realignment in 1966 (western end) and 1969 (eastern end). For further detail please visit the NT land map and search ‘Stonehenge’. In 1986, Stonehenge, Avebury and Associated Sites was designated a World Heritage Site (WHS) by UNESCO. The Trust’s stewardship of land gifted in 1927, marred by continued ploughing over many years, has now improved with grassland restoration and open access for visitors. In a 2002 Stonehenge Briefing the National Trust called for a “more sustainable tunnel solution at Stonehenge” and more information on a long-bored tunnel of 4.5km to reduce the risk of negative impacts within the World Heritage Site at the eastern and western ends. By 2014, however, in an extraordinary about-turn the National Trust was lending support to the Government’s 2.9km tunnel proposal. Despite the repeated firm advice from international specialists to seek alternatives that would not damage the World Heritage Site, the Trust has continued to give its support to this damaging scheme and, together with Historic England and English Heritage, has fostered misunderstanding that the Expressway engineering would protect or help to protect the World Heritage Site when it very obviously would not. The Trust has omitted to inform its members of international concern about the A303 scheme. Failure of the Trustees to consult members on the road project led to a members’ motion at the Trust’s 2017 AGM asking Trustees to reconsider their position. Despite some 22,000 postal votes in favour, the motion was lost after the Chairman’s c.6,000 proxy votes were added to those against the motion, rather than for it. The proposers of the 2017 AGM motion have since corresponded with the National Trust’s chairman. This correspondence, published here on the Stonehenge Alliance’s website, speaks for itself. The National Trust appears content to disregard its founding principles in respect of the WHS and declines to correct misleading published statements about the road scheme. 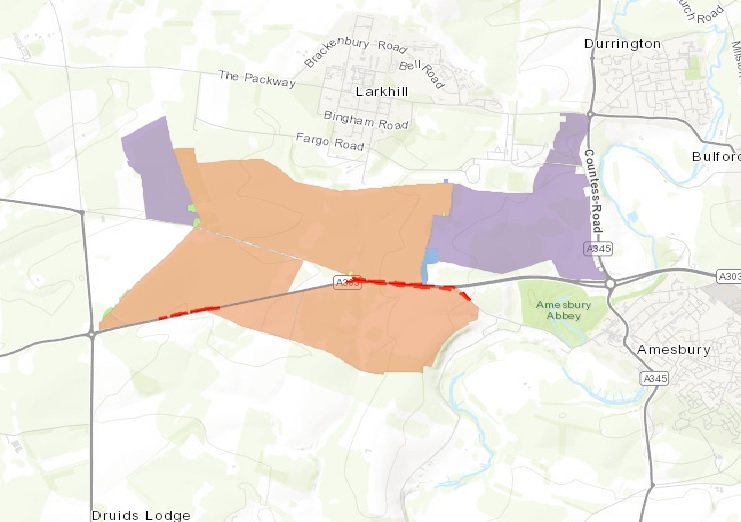 Meanwhile the large majority of those responding to Highways England’s three consultations on the project have continued to object to the A303 scheme outright. If you should feel minded to write to the National Trust about your concerns, please follow this link.